Get hair-free smooth skin today! Raise your arms with confidence and wear those colorful bikinis with no hesitation this summer. Achieve smooth, fair-looking, and hair-free underarms without having to go through all the pain and discomfort caused by conventional lasers. Considered as the gold standard in laser hair removal, Prana Medispa uses a machine called Light Sheer that has a patented chill tip that protects the skin from thermal damage. Made for those who live for summer days, our laser treatments are always quick & easy, never involve peeling or downtime. 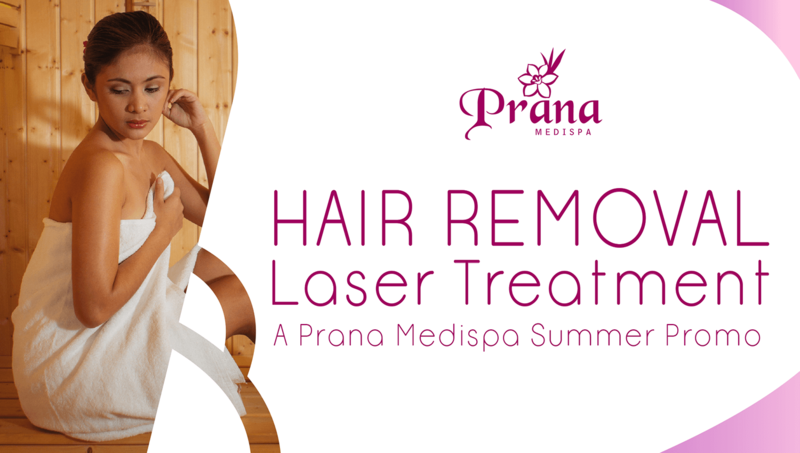 Bid goodbye to your underarm insecurities by taking advantage of our HAIR REMOVAL LASER TREATMENT: A Prana Medispa Summer Promo! Say adios to chicken skin, razor burns and the pains of waxing now! Purchase this package in our Online Store or you may call us at (032) 418-8888 local 55 for inquiries. This promo is transferable and is available for purchase until April 30, 2018 only. It can be availed anytime, with no expiry. Like our Facebook page at facebook.com/pranamedispaph!